With the recent news you should now be eating 10 fruit and vegetables a day, it is high time you know which are worth chowing down on and which aren’t doing much for you. It turns out nutritionists are all in agreement when it comes to which super-fruit is going to turn you into a superman. The humble blueberry. The power snack is a superfood which contains anti-oxidants and anti-inflammatory compounds and a survey by Byrdie of 17 different dieticians found that they’re the best of the basket. 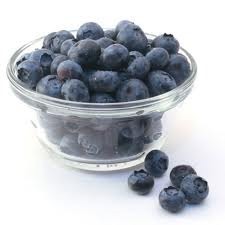 The antioxidants help with both cardiovascular health and brain functioning, the berry also is high in fibre, helps with digestion and good for your skin.